The people of Anatevka, a small Jewish community in Tsarist Russia, wrest a precarious, simple living from the soil. 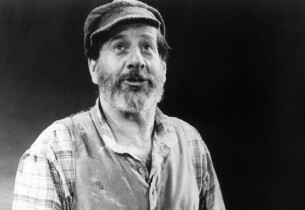 Tevye the milkman, a devout, humorous, ebullient man, tells how their strength derives from the age-old laws of Tradition. In Tevye’s home, Golde his wife and his five daughters are preparing for the Sabbath. Yente, the matchmaker, arrives to tell Golde that the Butcher, Lazar Wolf, a gross, middle-aged, wealthy widower, hopes to marry their eldest daughter Tzeitel. Golde is delighted but concerned that Tevye may not approve the match. Tzeitel, already in love with the poor tailor Motel Kamzoil, can only guess at what Yente promises. Together with her sisters, Hodel and Chava, she sings of the prospect of marriage – Matchmaker, Matchmaker. Meanwhile, Tevye is struggling home, obliged to pull his own cart because his horse has lost a shoe. Undaunted, he sings of what he would do were he blest with money – If I Were A Rich Man. He meets Perchik, a poor student from Kiev with determined ideas of his own, who agrees to teach Tevye’s daughters in return for his keep. Together they return home to join the family in the peace of their Sabbath Prayer. Tevye meets Lazar in the village inn and is persuaded, against his better judgment, to agree to the marriage. Lazar, their friends and several Russian neighbors join him in a jubilant toast To Life. Next day Tzeitel is told of the plan for her marriage to Lazar and, in tears, begs Tevye not to insist on the match. They are interrupted by the breathless entry of Motel and together the young people confess their secret betrothal. Tevye is at first deeply shocked that they propose to break with the tradition that the Papa should choose his daughter’s husband but, impressed by Motel’s unwonted courage and the depth of Tzeitel’s feeling, eventually gives his consent. An incredulous Motel sings ecstatically of the God-given strength which has brought him to manhood – Miracle Of Miracles. Tevye must now tell Golde. His ready imagination, prompted by a due respect for her biting tongue, leads him to choose the middle of the night for the purpose. Pretending to have woken from a nightmare, he tells her how Fruma-Sarah, Lazar’s first wife, and her own Grandma Tzeitel, long since dead, have appeared to him in a dream. 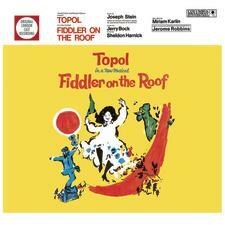 Golde, reduced to piping terror, willingly agrees that Motel is the man for Tzeitel – Tevye’s Dream. Motel and Tzeitel are married with traditional solemnity – Sunrise, Sunset. At the height of the celebration (Bottle Dance), Russian demonstrators arrive, bent on destroying Jewish property. They smash up the wedding feast. Tevye, stunned, can only look to God for an explanation. As Act II opens, Motel and Tzeitel have been happily married for two months. Outside Anatevka the troubles are spreading through Russia and Perchik goes to join the revolutionaries in their struggle against the Tsar. Before he leaves he asks Hodel to marry him and she consents – Now I Have Everything. Tevye, once more unable to resist the pleading in a daughter’s eyes, reluctantly gives them his blessing and, as he timidly breaks the news to Golde, suddenly wonders if their own workaday relationship may not be based on love, too – Do You Love Me? The village hears that Perchik has been arrested and sent to a settlement in Siberia. Hodel at once decides to join him and marry him there, telling her father, in a moving farewell, that she can only be happy with the man she loves – Far From The Home I Love. Soon Anatevka, too, is caught in the political maelstrom. An edict decrees that Jewish families must leave within three days. Even Tevye, whose third daughter, Chava, has married a Russian, cannot be spared. As they put together their few belongings, the villagers mourn for the sorry little place which familiarity and hardship shared has made their home – Anatevka. Sadly they leave to start new lives in Poland, the Holy land, America. . . .